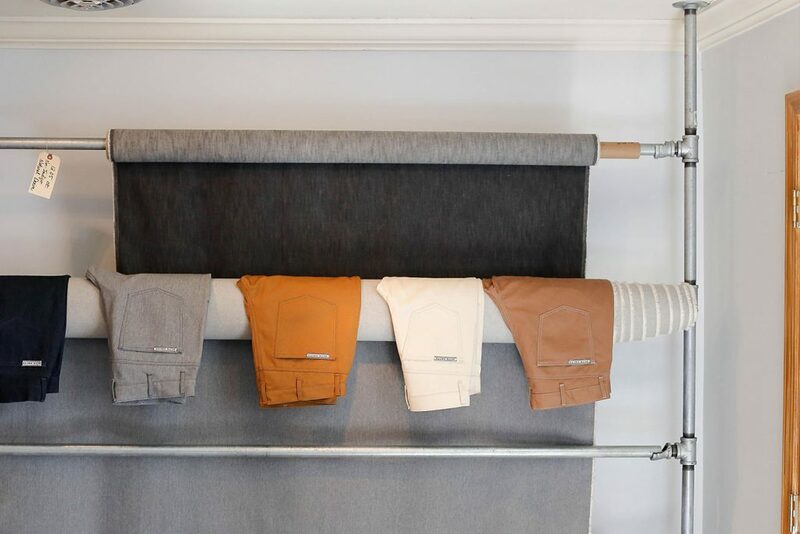 Our bespoke denim is handmade, fitted & designed just for you. You will have the opportunity to select your denim, cut, thread color and placement for your individual jean, before being measured by an experienced J.TOOR fitter. Our “Made in America” bespoke denim doesn’t rely on loud pocket designs or artificial washes; the silhouette says it all. 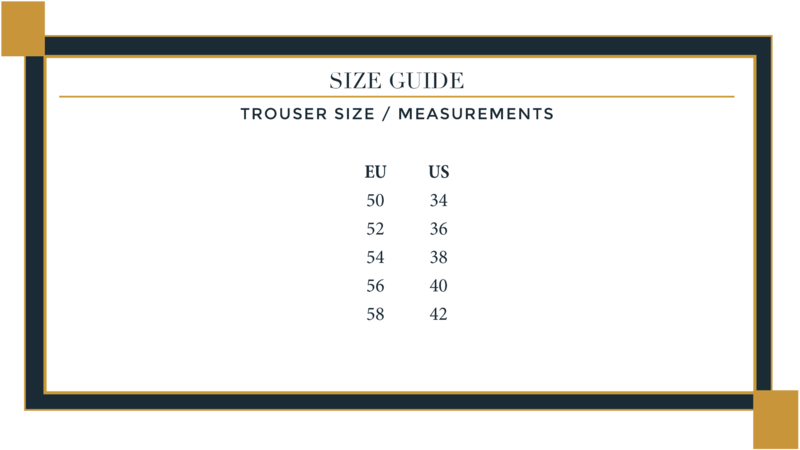 A custom fit and timeless design will ensure that our clients love the look and feel of their bespoke jeans for years to come. If you have a pair of jean that you already love the fit of, J.TOOR can clone the fit of your perfect fitting pair of jeans. 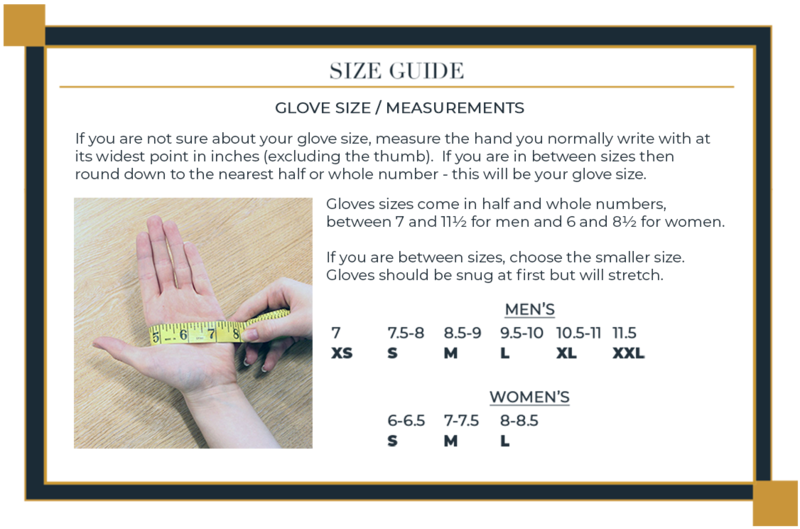 If you already know what you like and we aren’t able to take your measurements, having a jean cloned is the next best thing! 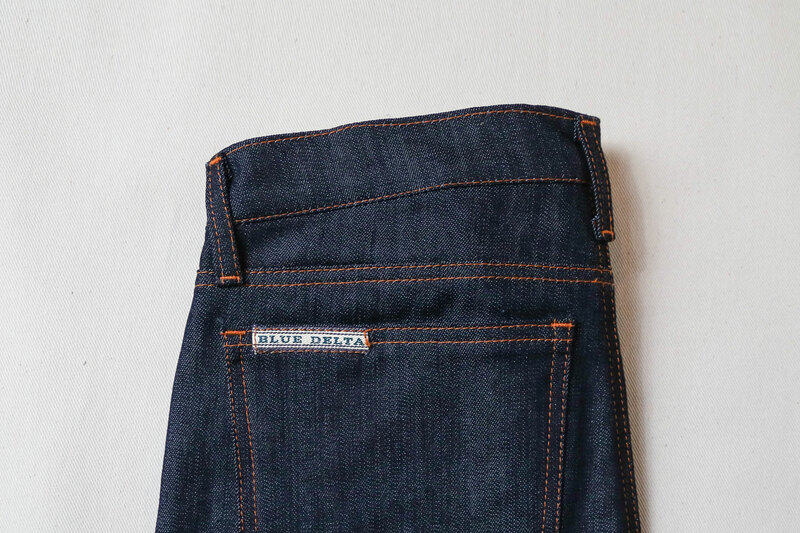 Exclusively made in Mississippi, Blue Delta Jean Co. offers unique styles ranging from the Americana to the Cali, all with minimalist design features and created by two pattern makers for the traditional 5 pocket style jeans. Constantly adding new fabrics and colors. "They have an excellently curated selection of goods and they have a great sense of style. They'll nudge you towards things you wouldn't have thought of but you will be delighted that they did. Be prepared for the prices but be assured you'll ultimately decide they were worth it." "I have been to many custom shops prior but will never go to another. The total end to end experience is professional and engaging.... matching your thoughts and vision with their expertise. The result is unmatched finished products where fashion meets unique individuality and comfort"
"This has been by far the best experience I had with buying suits. J. Toor has been absolutely amazing. He has in depth knowledge about every fabric and helps tailor items to your preference and budget. Recommend them for every type of suits." "What a great experience buying a suit with J. Toor! They have a wonderful and helpful staff that are super friendly and unpretentious. They offer made to measure suits and hand stitched bespoke suits at good prices. They also have a bar so you can sip on some bourbon as you shop. Jivesh walked me through my different options and helped me design an awesome suit for my wedding that is stylish, but will also hold up over time and function in different settings as well. Thanks guys!" "Top notch products and experienced professionals. Purchased a suit and will not shop anywhere else for my finer wear." "I had an excellent experience with Jivesh and Jeremy. I'm just an regular guy that doesn't dress up much, and both of these guys made me feel at ease and did a great job helping me figure out what I wanted for my wedding. They never tried to push something on me that I didn't need and never spoke down to me. They're also very organized and never wasted my time during our appointments. I recommend them to anyone looking to make an investment in a suit." "I just received my first bespoke suit. What a great fitting suit. Right away I noticed the quality but was very pleased with how comfortable the garment is to wear. In addition, I received it early which was a nice bonus. The overall service was great. Everything was well explained, professional and exactly the service you look for in Custom Clothing. I will be going back soon." "I went to J Toor after being incredibly disappointed with Wilfred Newman and searching the city for the right tuxedo and having no luck. They are the BEST! Not only was the service flawless, timely, and professional, but the final product is even better than I expected. The quality of the bespoke tuxedo is one of the best that I have ever seen. The tailoring was impeccable and I could not be happier. I will only go back to J. Toor and no one else for my suiting needs! I am proud to call them"
"Love the fabric options, bespoke tailoring, and personal service. The bespoke clothing is very fairly priced. I would definitely shop there again!" "Our go to source for amazing gifts!!! Must check out the coin cuff links! Amazing college graduation gifts for aspiring young men! Jivesh is wonderful to work with." "We stopped in J.Toor a few days ago and instantly Loved everything. Diana help us and was so friendly. Definitely be back to do our Christmas shopping. LOVED the Pocket Rounds for my boyfriend and got him his first Cashmere scarf. Thank you Diana"
"J.Toor is one of my go-to's whenever I am in Chicago! I live in California, and I am in Chicago every year in December - it is a must shop on every visit. Such a classy store, and Jivesh and his colleagues are amazing! I have purchased everything from bow-ties to cufflinks, and always am so happy with what is on offer - no other store carries the variety and scope of menswear as JToor. A true haberdashery!" "Jivesh and his team are fantastic! The quality of the custom cut suite I received exceeded my high expectations. I will continue to use J. Toor even though I am based in the Bay Area." "J.Toor is a fantastic men's clothing and accessory boutique. The service is excellent and the people working there really go out of their way to choose the right fit and style for you. Huge bonus that they carry some of my favorite hard to get brands including tateossian, swims, gran sasso, and a pocket square collection that is unrivaled. I strongly encourage taking a chance and looking around, you might get hooked!" "Great place with great people who have never steered me wrong and always makes certain I look my best. Unique and tailored clothes insures you look amazing and never blend into the boring crowd." "Amazing one of a kind store with impeccable details and some of the most unique things a man could ever want or need. Stand out from the "common" look. Ask for Giffin, he found my man aka "one picky human being" the greatest scent and an amazing travel bag he will cherish for years. Fashion can be bought here! wish they open a woman's store." "Great products and a wonderful team of experienced professionals! I have now purchased two bespoke items from J Toor and could not be more satisfied." "I can't say enough about my experience with JToor!! Jivesh and Jamie designed the perfect suit for my 8 groomsmen and I. They captured everything my wife and I were looking for on our wedding day (especially my wife:))! We still receive compliments on the style (in fact, I just sent a friend to them for his wedding). Why waste money on a rental when you can keep something for years! Overall, we couldn't be more pleased with the attentive service and flattering design!" "Jivesh was very thorough and spent ample time with me selecting fabrics and his knowledge of fabrics was immense. Overall it was a great experience and the fit of the suit was fabulous. Thanks J Toor!!" "I have had multiple wonderful experiences with J. Toor creating customized shirts for me. I have had difficulty with buying shirts for years and J. Toor allows me to get the exact fabrics and styles I want. But more than that, Jivesh and Jamie pay very close attention to working with customers and quickly learn their personalities. It gives them the ability to know when and where to suggest modifications that are fashionable but fit me and help create my own personal style." "Sometimes is all about being in the right place at the right time: I wondered into the store looking for some accessories to wear for work. Jivesh and Jamie were very attentive and polite. Once I realized that they had a bespoke service I made an appointment, for which I arrived late. I had my measurements taken and after a 45 min "lesson" in styles and forms appropriate for my build I went over fabrics with Jivesh. After 4 weeks I was called for a fitting appointment, and now I'm very satisfied"
"J. Toor has EXCELLENT customer service! Diana and her team are so personable and full of expert knowledge in their field. Please do yourself and your wardrobe a favor and schedule a consultation to purchase some of their fine items." "Friendly and knowledgeable staff that will make sure you look your best when you leave. Their garments are top notch and their tailor's are out of this world good. You will definitely notice the difference in quality and in the feel of their clothes." "The design team of J. Toor are exceptionally engaged in the spirited of helping their clientele find exactly what they need. My needs were driven both by finding a distinctive look while staying within a reasonable budget, and I feel that Jivesh and team did the best possible job working to serve my interests."